Customer Relationship Management (CRM) refers to a type of software or application you can use to manage your interactions with customers, keep a customer’s contact information secure and manage deals and sales. Right? Well, sort of. 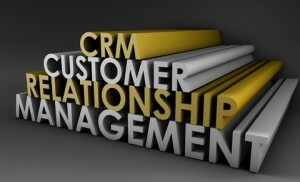 A good CRM will do those things for you, but apps can’t do it all. Customer relationship management should actually be about proficiently managing your relationships with your customers – meaning, putting the right tools in place to make sure you offer consistently great customer service. With all the lingo and the acronyms and the must-haves in the app world, we can forget that a solid CRM won’t help if there is no plan for actually managing customers. Marketing automation can be helpful because the right platform gives you much more information than standard analytics tools ever will. If you are able to use marketing automation data to determine specific consecutive days that a certain visitor has spent on your site, it makes sense to contact that visitor personally, strategically discuss some of the areas of your site they spent the most time on, and determine how your offering suits their needs. Without marketing automation tools, you simply can’t give this level of service to your clients. In fact, you won’t even know what specific users are visiting your website. All Google Analytics and other services will give you is a lump of customer data that doesn’t single out specific IPs. Take a look at your web visitor data over the past 90 days. If you don’t know who’s visiting, it might be time to consider a marketing automation tool that can help you log specific visitors and tie their needs to your services. If you do know who your visitors are, develop a lead flow strategy for using your customer relationship management tools to pinpoint them, then contact and pitch to them. For instance, does a potential client continue to hover around price points for a certain service you provide? If so, it makes sense to call that person or email them with a special promotional deal. Does a specific client keep coming back to your website to look over terms of service or specific offering points on a package? If that’s the case you might experience future problems from that customer or need to answer a question. A simple call to check in might remedy a complaint that’s about to surface. With marketing automation tools, you can better manage the relationships you have with current customers and put systems in place to give them better service. For more information and to take advantage of what marketing automation has to offer for your customers, visit leadliaison.com.